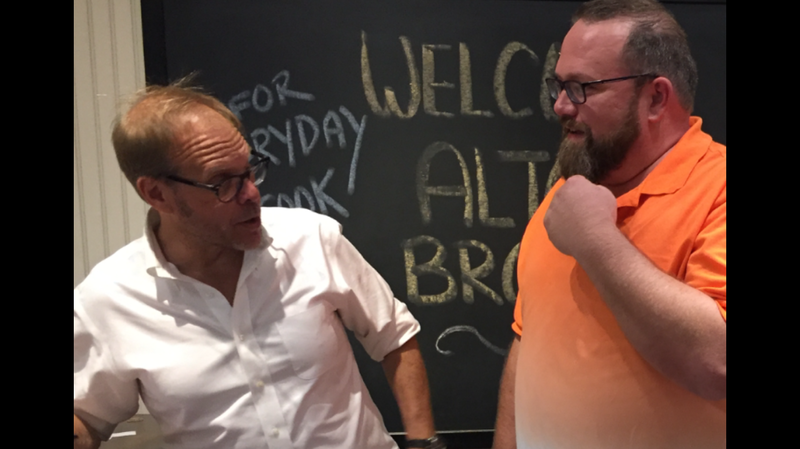 I have been a fan of Alton Brown and Good Eats for many years. When I read he was coming to Southern California on his new cookbook tour I knew I had to go. We went to Sur la Table in Carlsbad, California a few days before the signing to purchase the book. There were only a few tickets left. I was so excited. The day of the book signing finally came and we drove back to Carlsbad. There was a line around the building. We chatted with people around us. The gentleman in front of us had just landed in Los Angeles from Tokyo and drove straight here and I though I was a huge fan. Finally we were in the door and making our way back to the demonstration kitchen. I saw him. He looked so friendly and sincere. Chatting with all of his fans. It was our turn next. Handed our camera to his assistant. Walked over, handed him the cookbook. On the post-it note was M(sqd). He asked what that was. I told him we are both Michael and that was our company name. We showed him our bag. I wanted to give it to him. It all happened so quickly, we turned, the pictures were taken and it was over. I thanked him and left. It was a great day. 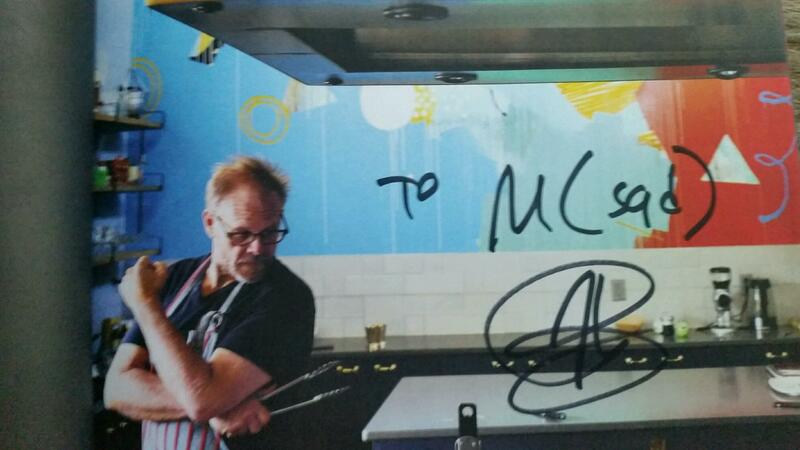 Thank you Alton Brown. Everyday Cooks. so cool guys! 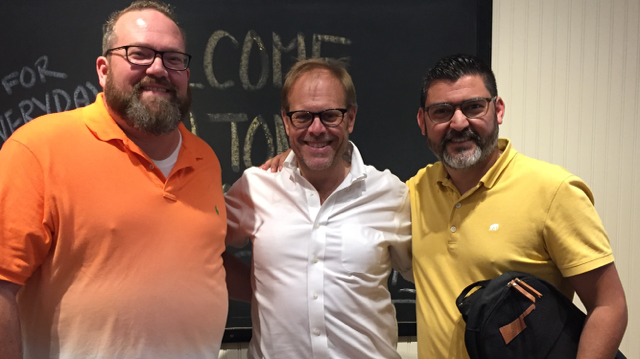 Congrats on meeting a long time food icon. Hope he buys a bag LOL.